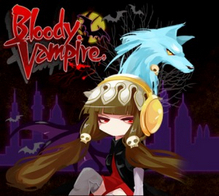 Bloody Vampire was delisted from the Nintendo 3DS eShop in North America in May of 2018. According to a Wikipedia discussion started by user Kristie Ann Webb this is when several 3DS titles published by Agetec were removed from the eShop. Many of these titles remain available in Europe as of this writing where they were also published by Agetec. “This is the story of Latis, a girl who is half-human, half-vampire, and her quest to discover why a vampire is invading the human world. This is a platformer type game with elements of an RPG. The player advances and collects money by defeating enemies and must explore to discover items used to increase abilities, such as magic and transformation. Several years ago, a strange man made his way to the ruins of an abandoned castle on the outskirts of a small town called Verulia. Since then, the townspeople’s fear of the castle has grown, and none would dare venture near it. Recently, a merchant traveled to Verulia and discovered the entire town was deserted. Her story was embellished, as disturbing rumors of a vampire inhabiting the castle spread like wildfire through the land. As Latis has become older and learned more about herself from Cereza, she feels she is destined by her heritage, to bring an end to any threat that vampires pose to humanity. After a lengthy discussion with Emarle, who raised Latis since she was a baby and whom Latis considers to be her mother, it’s agreed that she must go with Cereza and travel to Verulia. Latis, travels to the town of Verulia to infiltrate the ancient castle in order to defeat the vampire lord residing there. During her exploration she will obtain powerful items greatly improving her abilities. She will discover and learn how to master her transformation ability and finally through the time spent with Cereza, she will learn her history and the sacrifices made allowing her to become who she is. Latis can summon four magic elements, (each with 3 levels). Fire Magic attacks in a straight line. It can also be used as a light darkness. Ice Magic for rapid fire and defense and at higher levels; it can be used as a shield. Lightning Magic attacks in spirals, and its power can be charged up with the item Thor Gauntlet. Dark Magic calls down meteors to attack diagonally. Certain blocks can be destroyed with these meteors. She will learn to transform into a bat and fly around to reach places that are otherwise inaccessible and even perhaps uncover new items. She also can transform into a mighty wolf, increasing movement speed and jumping ability, and colliding with enemies does not damage her while in wolf form.